Locating and securing research funding is becoming increasingly competitive, as funding opportunities are limited and the number of researchers vying for those dollars continues to grow. Pivot™ answers the growing demands on research developers to quickly discover the right funding opportunities.  Pivot is available to all UT faculty, staff researchers, research administrators and students. Use an on-campus computer and go directly to https://pivot.proquest.com/funding_main. 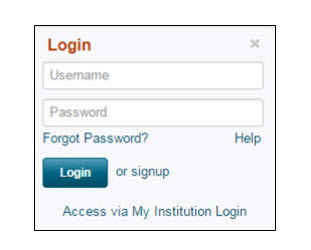 Login to Pivot at https://pivot.proquest.com/funding_main with your Institution Login UT EID and password. Help through Pivot: If you need additional assistance logging in to Pivot, or have questions about the product, click on the Support/Help link at the bottom left-hand corner of each Pivot page. Here you’ll be able to submit a case, chat or call technical support. Pivot provides the capability for you to update all fields or areas of your profile. Updating your profile can increase the quality of the funding matches recommended for you from the Pivot Advisor. ISNI: Click the edit icon to enter your ISNI ID. Not sure what an ISNI ID is? ISNI (International Standard Name Identifier) is an ISO standard developed as a global identification system of public identities across all fields of creative activity. Simply put, it’s a unique identifier that is used by libraries, publishers, databases, and rights management agencies as a way to identify millions of contributors to creative works including researchers, inventors, writers, and more. Learn more at www.isni.org. Expertise: Add information here to improve your Pivot Advisor. Affiliations (both past and present): Listing all your previous and current affiliations will assist in the publication linking process. Grants: Publications are updated through Pivot’s linking process. In addition, you can upload a document, such as your CV, that reflects your publications. These also are indexed and discoverable immediately. Marking an Opportunity as “Active” – Active opps are opportunities that you are tracking on your homepage, and have deemed important or critical. Active opps are most likely opps for which you plan to apply or for which you’ve already applied and would like to keep a close eye on. When you mark an opp as Active, it will be listed in the Active section on your homepage, which is shown to you immediately upon logging into your homepage. Tracking an Opportunity – Tracked opps are opportunities that you you want to monitor on your Pivot homepage, and are less critical than the Active opps. Tracked opps are opps that you would like to follow, and for which you can receive a Funding Alert. Saving a Search – Saving a search query saves you time as Pivot automatically provides weekly funding alerts that identify any newly added or updated opps that match your query. There is no need to continually enter and run the same search over and over. You can also share your search query with collaborators (the search results will only be accessible if your collaborators have a Pivot account). Email Notifications: Saved searches will be run against the funding database weekly to look for new or updated funding opportunities that match your saved search criteria. When you save your search you can choose whether or not to receive a weekly email with new or updated results about your saved search. You can manage your email notifications from your home page. If you see an envelope in the email notification column you will receive a funding alert email on Sunday. Locate your saved search query in the Saved Searches area of your homepage. Click Options for your saved search and select Alert email on (or Alert email off). Depending on your selection the email icon will appear or disappear from your email alert column. Locate your saved search query in the Searches area of your homepage. Click the Delete link for your saved search. Confirm the deletion by clicking the Yes button.